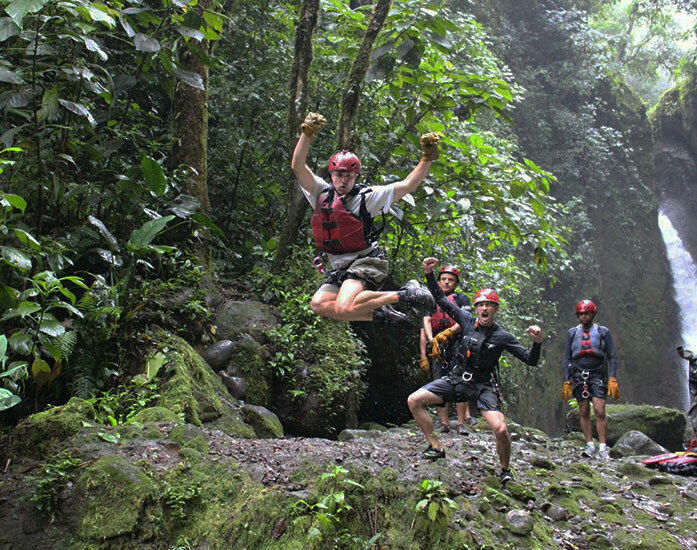 Deep down in the Costa Rican jungle, lies Costa Rica's Most-Extreme Tour! Desafio founder Suresh Krishnan and his team of explorers set out into the jungle to find the perfect place for our most-incredible tour yet. 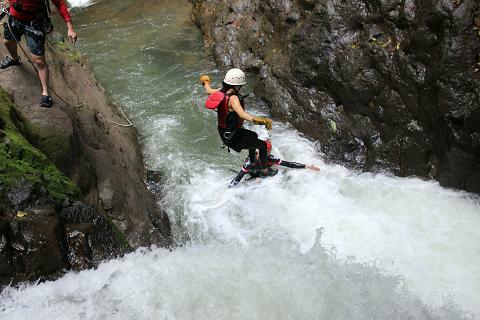 Without a doubt, this tour is for those looking for an even greater challenge than canyoning in our Lost Canyon. 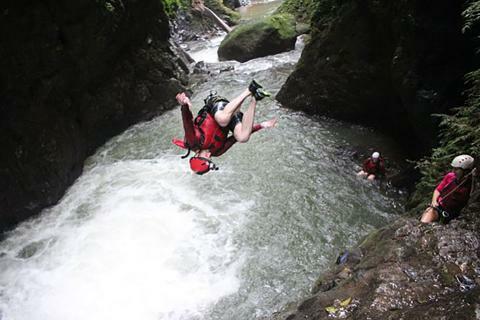 Go beyond canyoning that you already know and join us on this intense, Costa Rican expedition. We'll pick you up from your hotel in the La Fortuna Arenal Volcano area. We take you on a nice drive through beautiful country roads and up into the mountains. From there, we head deep down into the Costa Rican jungle. Our guides will suit you up with high quality harnesses and helmets before embarking out on your once in a lifetime rainforest expedition. Start off with a heart-pumping rappel down an impressive 80-ft tropical waterfall. You’ll drop into a large, deep pool of incredibly crystal-clear water and have a chance to swim your way onto shore. This will prepare you for the following adrenaline-pumping adventures of this multi-sport canyon adventure. You'll hike through the rainforest to where you’ll reach a continuous series of waterfalls and cliffs. Your professional and experienced guides, will help you push your limits as you jump off 10 to 30-ft waterfalls and cliffs into the deep canyon pools. Talk about SECRET swimming holes! You'll be one of the first to be able to explore this pristine wilderness! Rain or shine, you are going to have tons of wild water fun and get a chance to see REAL Costa Rican nature up close and personal! 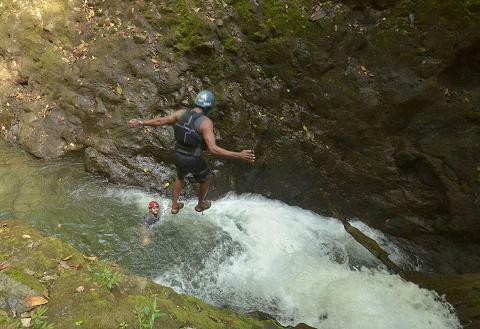 Don't leave Costa Rica without doing the NEW Gravity Falls Waterfall Jumping Canyoning experience near the Arenal Volcano! 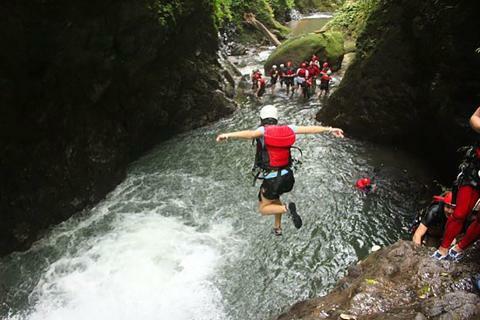 Check out Desafio's video of Gravity Falls to get a better understanding of Costa Rica's MOST Extreme Tour!! Transportation, professional guides, high quality equipment, delicious lunch. clothes for after the tour, GoPro camera, a big sense of adventure.